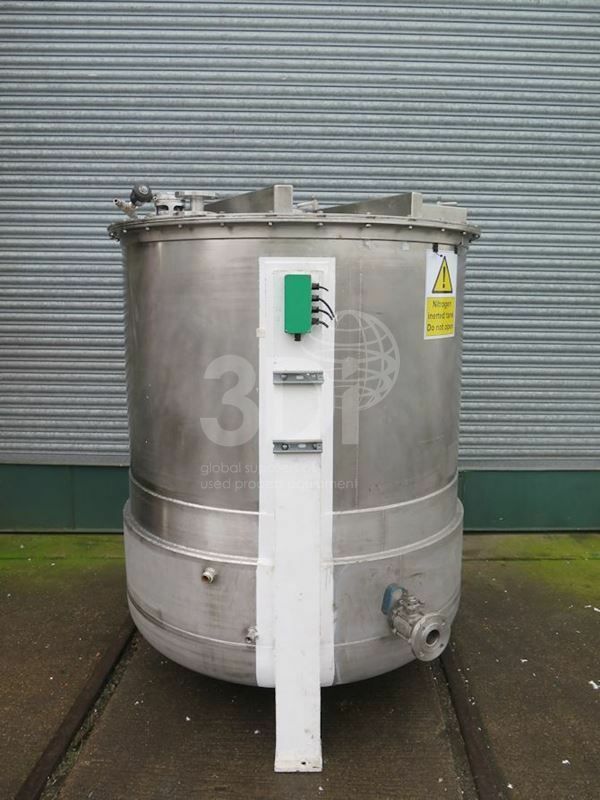 Used 2,000 Litre 316 Stainless Steel Jacketed Mixing Vessel, manufactured by Northern Fabrications Ltd. Orientation: vertical, cylindrical, dished bottom, flat top, on legs. 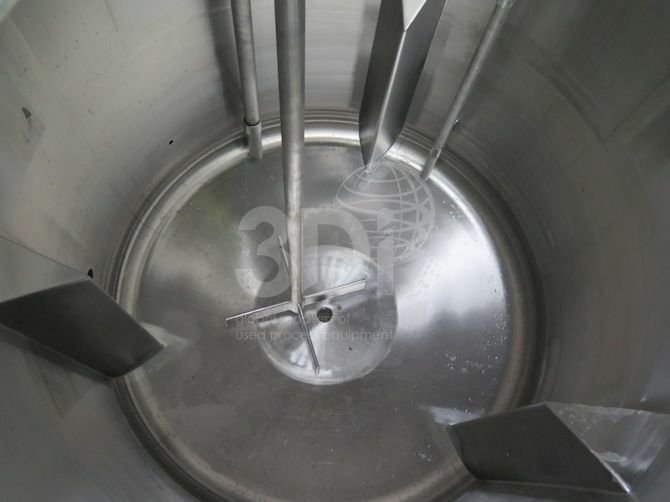 Dimensions: 1350mm diameter, 1450mm on the straight, 300mm bottom dish, 2250mm overall height. Connections: (1) 25mm top side inlet, (2) 50mm top inlet, (3) 25mm top inlet, (1) 460mm top man way hinged clamp on lid, (1) 50mm bottom outlet. 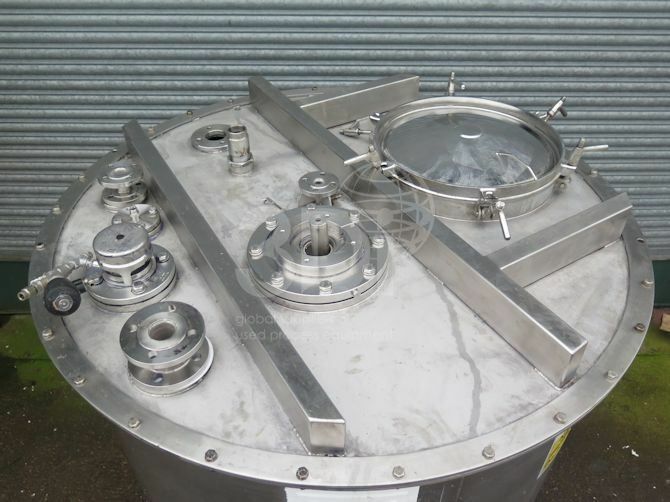 Design data: working pressure 4.5bar jacket, ATMOS vessel. Complete with a top mounted Joshua Greaves Atex rated 4 bladed paddle agitator with a 3kw CEMP electric motor. Agitator speed 9-175rpm. 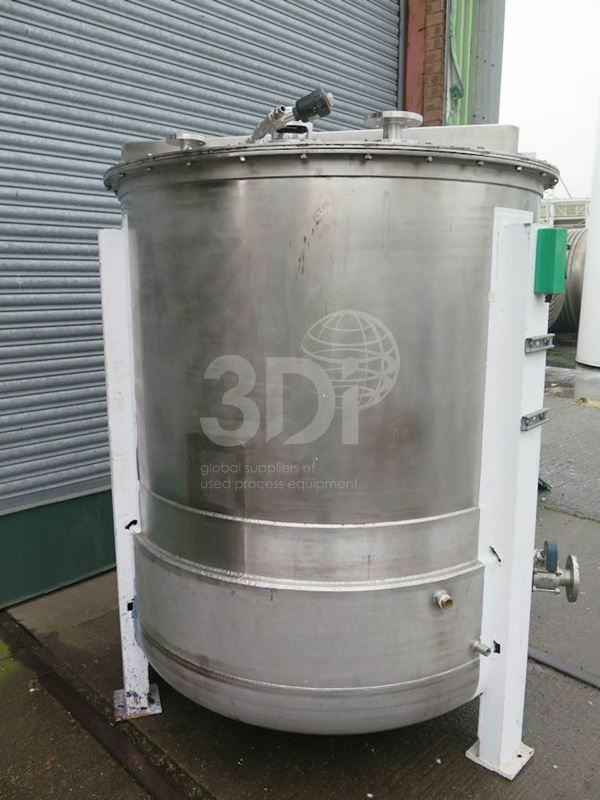 (3) internal baffles. Previously used on chemicals.